Images by Carolle, all rights reserved. 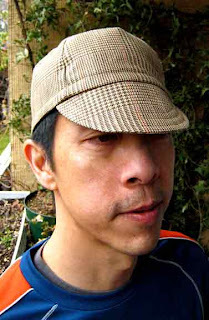 I have asked Carolle to make me a cycling cap, for a long time now. My request has been granted. And it has been worth the wait! She made and gave me the prototype model (lucky me!). She made the pattern and then sewed the fabric together from scratch. I find that amazing. And I put it to good use by wearing it to work (in the rain) and yesterday on a short ride. 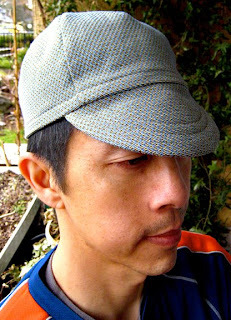 This beautiful cap is very comfortable under a helmet, too. But, where it shines is out for all to see. It just wants to be seen! Three words best describe it: Fun, Functional & Fashionable. Although the great race is next month, I’d bet this fine looking cap would be at home on the pave!